Planning to move? Let us help! Call us today and see just how simple we can make your move. 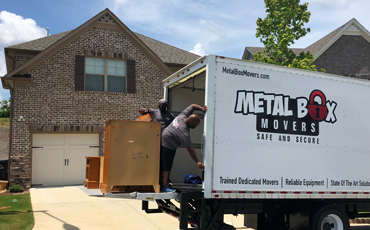 When you’re looking for a moving company in Sandy Springs, you want a team that’s going to be committed to getting your things safely from your old house to your new one. 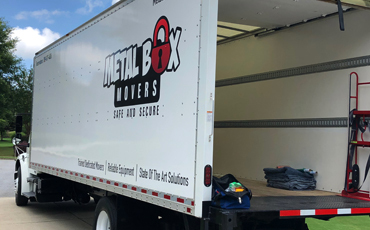 At Metal Box Movers (MBM), we have the knowledge and experience necessary to move your belongings with skill and precision. If you’ve bought a new house or you’re renting your first apartment, and you’re ready to move, give us a call at (770) 795-1800 today! Planning for your move can be stressful, as you attempt to organize and pack everything in your house. If it’s just you, then packing may not take too long, but if you have a large family and an entire household to move, then everything could take a bit longer. 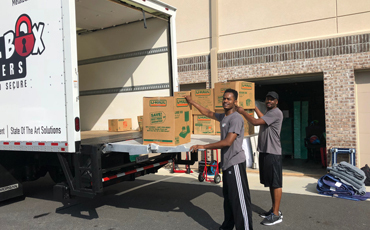 Getting a head start on packing can help you be ready for moving, and our team of expert movers will arrive ready to load the truck and get you on your way to your new place. When you hire MBM to be your moving team, you can count on us to be professional and communicative throughout the entire process. If you have questions about how the truck will be loaded, or you want to know how fragile or heavy items will be handled, then we’ll be more than happy to answer them. Above all, we want you to have a positive moving experience, and to think of us the next time you need to relocate! If you live in Sandy Springs and you’re preparing to move, then contact our team today. We are committed to being a moving company that provides every customer with safe and secure services. Fill out the form below today, and a member of our team will respond as soon as possible. So often we hear our customers say “ Our family and friends were coming to help but they got too busy on the day of our move – so, we called you” or “They helped us on our last move that didn’t turn out so well, we ended up with scratched up and broken furniture”. When handling your office equipment & furniture during a commercial relocation, we take the utmost precaution. We constantly consider the safety and security of your office, from the packing and loading to the transportation and unloading into your new location. Unlike other moving companies, what we quote is what it is, no hidden fees and add ons, unless you decide to add or subtract services. Your Moving Specialist can help you with your customized long distance moving quote and help you find the best fit for your move. Here at Metal Box Movers, we put the customer first, all the time. We pride ourselves in going above and beyond to make sure your experience is as great as can be. ©2018 Metal Box Movers® | All rights reserved.